In today’s highly competitive market, starting a small business is without a doubt difficult. But positioning it for future growth is even harder. With limited resources compared to larger companies, it is essential to determine the right strategies and tactics to make sure you succeed. By combining proven techniques, efficient methods, and convenient tools, ensuring the steady growth of your business can be accomplished in no time at all. 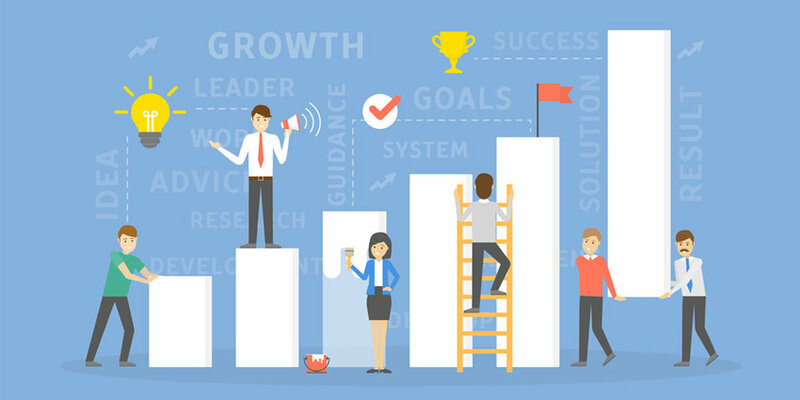 We summarized the 5 main key elements for successful small business growth for you! Another week, another data breach. Chili’s recently announced that its systems were compromised, joining the likes of Target, Applebee’s, Wyndham Hotels, The Home Depot, Equifax, and many others, all of whom suffered cyber attacks the past few years. But data breaches and cyber attacks affect all types of businesses and industries – not just the ones that we see in the news. In fact, 90% of all data breaches impact small businesses. 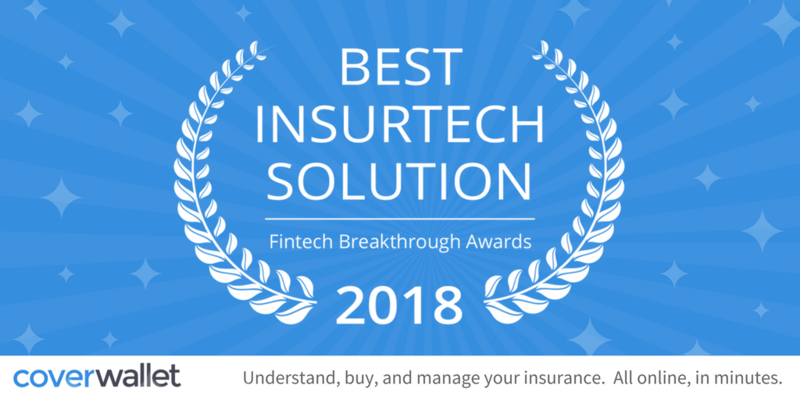 Today CoverWallet was named the “Best InsurTech Solution” by the Fintech Breakthrough Awards! Chosen among more than 3,000 nominations, we are proud to be recognized for the work we do to make insurance more transparent and convenient to deal with for small businesses. Thank you to the judges, partners and all of our customers! Often referred to as a sign of rebirth, rejuvenation, renewal and resurrection – spring cleaning is an annual practice and an effective way to reorganize things in our lives. Between heavy scrubbing, decluttering rooms, rearranging furniture and throwing unnecessary items, it’s the refresh our lives need after a long winter and ahead of the summer months. But spring cleaning isn’t just for our homes. It can also help your business improve its overall performance. 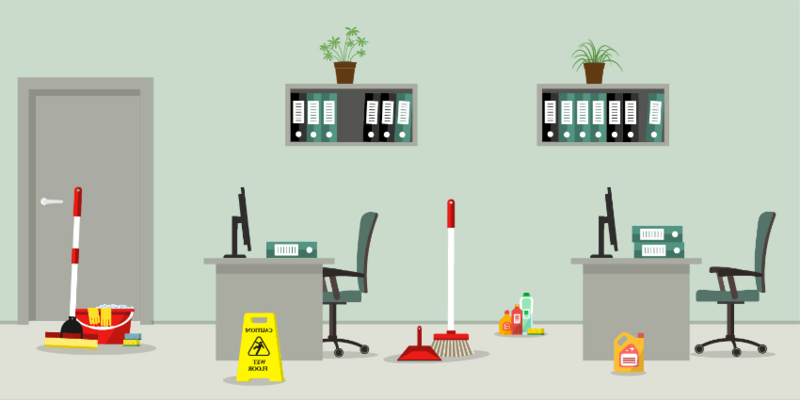 Applying the principles of spring cleaning will also do wonders for your small business, helping in terms of work efficiency and also general operations. Here are five small business spring cleaning tips to get you started. Between Hurricane Harvey and Hurricane Irma, in addition to other natural disasters, 2017 was a hard year for many communities and businesses across the U.S.
Last week, the Federal Reserve Banks of Dallas, San Francisco, New York, and Richmond released a report about the effects of natural disasters on small businesses. In FEMA-disaster areas, 40% of small businesses reported having losses as the result of a natural disaster, and 27% of those businesses had no insurance. Below are some of the findings from the report. Following February’s announcement about our strategic partnership with Zurich to expand CoverWallet’s presence in Europe, we are thrilled to announce that we’ve opened a new office in Rochester in the United States! 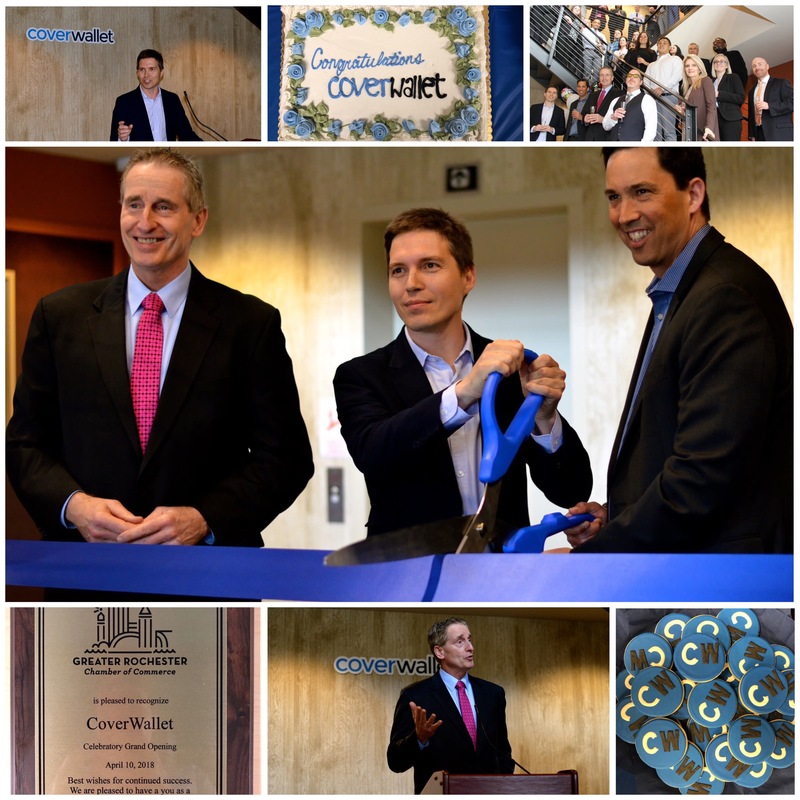 The new space increases our footprint and supports the company’s growth strategy in leveraging the area’s diverse insurance and high-technology talent pool. The new office will allow us to double our workforce in the U.S. as we continue with our mission of protecting millions of small businesses, helping them understand, purchase, and manage commercial insurance products, all online. To read more, check out the press release here. CoverWallet is actively hiring, and currently has offices in New York City (global HQ), Rochester, and Madrid (European HQ). CoverWallet has been selected by Quickbooks as one of the “Top Tech Tools For Entrepreneurs, Small Business Owners, and Freelancers”. Making other businesses more efficient with technology is not easy. The market is oversaturated with options and it is complex to navigate, making it difficult for anyone to parse through the noise. 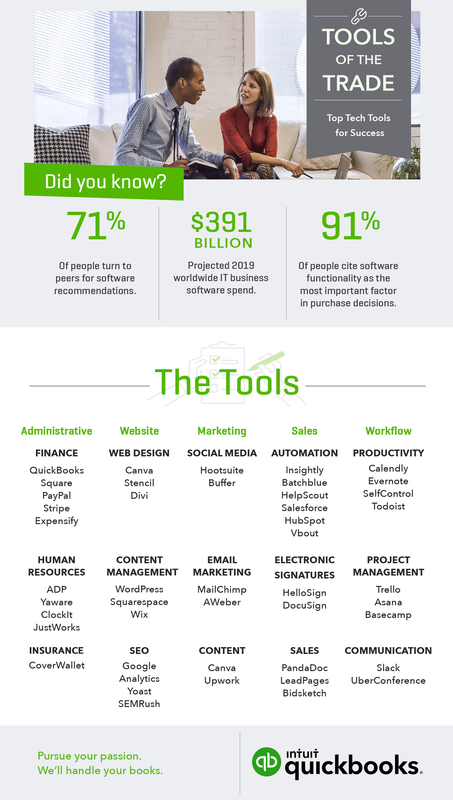 According to Intuit’s Quickbooks team, 71% of people ask their peers for recommendations when it comes to tech tools worth investing time, bandwidth and/or money in. So they decided to conduct a survey of their own and turned to a trusted community of freelancers, entrepreneurs, and small business owners across a number of industries, from wedding to real estate, to get feedback about the tools that are essential to their success. Check out all the tools below! Including (name dropping), our very own CoverWallet. 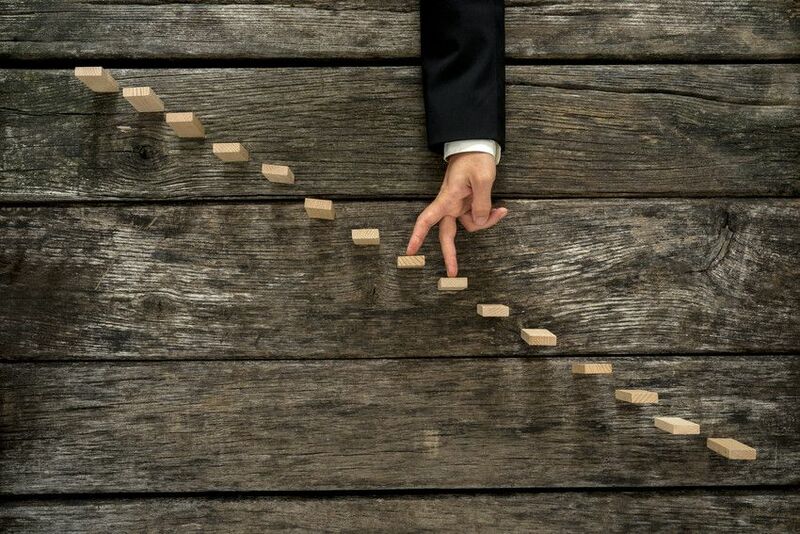 Starting and growing a business takes a unique skill set: persistence, leadership, the ability to see the big picture. It also takes a great deal of paperwork. With every business milestone—forming a business entity, hiring employees, establishing offices, providing new services—business owners need to meet a whole new set of regulatory requirements. That’s pretty hard to do when you’re trying to stay focused on bigger things. Yet missing a government requirement can carry steep penalties and even threaten your ability to do business. One way to make sure you’ve met all the requirements without missing a beat is to partner with a specialist. Harbor Compliance manages all of the corporate filings, registrations, and licenses needed to incorporate, run, and grow your business. You lay out your plans, and we make sure you’ve fulfilled your local, state, and federal obligations, down to the last document. CoverWallet makes the insurance aspects of compliance equally seamless. They help businesses get the insurance they need to meet government requirements at every phase of their development, quickly and painlessly. Following are highlights of some of the typical regulatory requirements, including insurance, that businesses need to consider at each milestone. 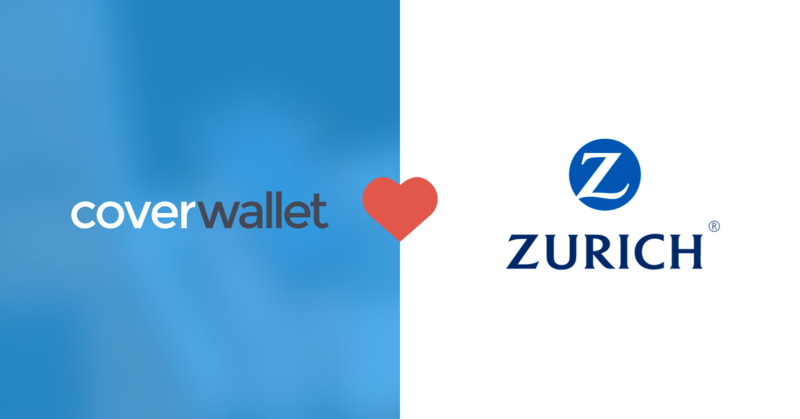 CoverWallet Goes International by Teaming Up with Zurich Insurance! 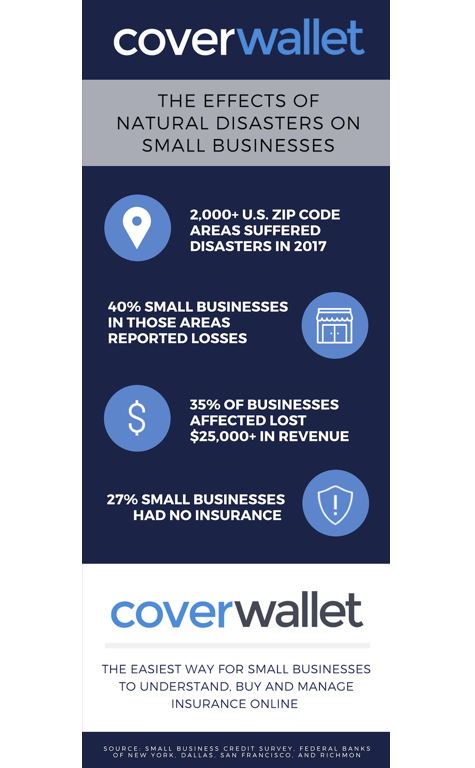 Since our inception, a few years ago, CoverWallet has had a singular focus on helping thousands of small businesses throughout the United States, to better understand, buy, and manage their insurance. Traditional insurance distribution models are complex as well as time-consuming, and many small businesses face the same pain points around the world. Whether you just started your new business or your business has just started flourishing, you may need to change your business address once or twice depending on the nature of your business, your business location and your future space requirements. Mail Forwarding services for businesses can ease your work of collecting mail from every place and helps in managing them at a single place.